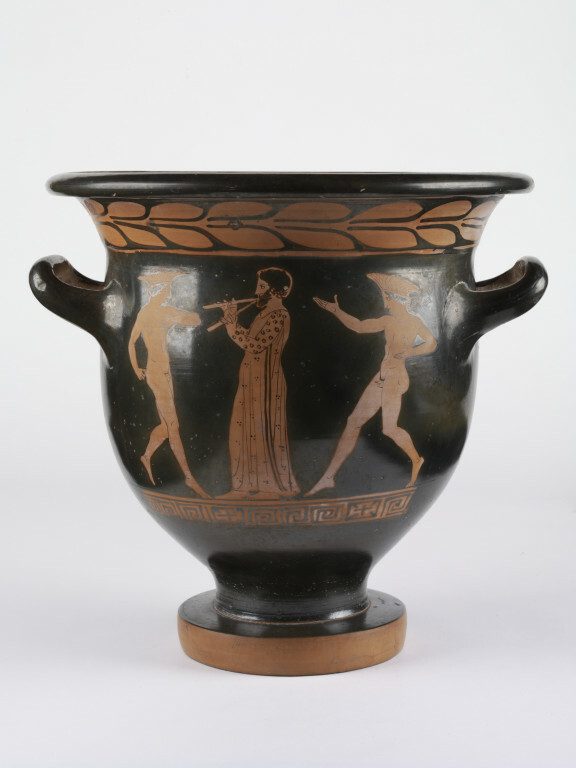 Vase, Bell-krater, earthenware, painted in 'red-figure' technique by an Attic Greek artist working in Italy (the "Sisyphos Painter"): (a) A bearded man playing the double pipes while two youths dance, wearing basketwork hats. (b) Three standing youths. 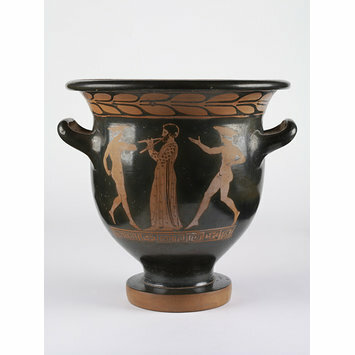 Below each group is a band of meander pattern, and round the upper part of the vase is a laurel wreath. Found at Ruvo in Apulia, Italy. Found at Ruvo in Apulia, Italy. Painted by an Attic Greek artist working in Italy.